Let’s be honest. 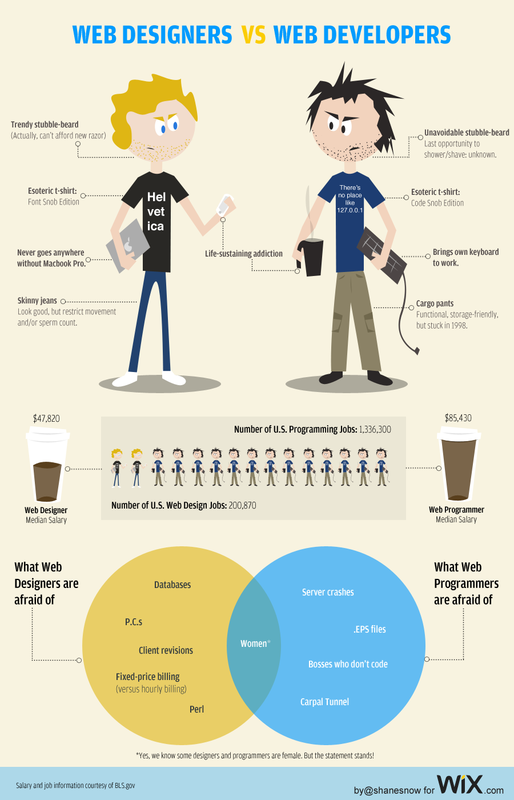 Being a web developer or a web designer doesn’t exactly give you an edge with the pretty girls (or guys) at your local pickup bar. If you were a part-time firefighter or investment banker, maybe. Nevertheless, the feud continues between web designers and web developers over which profession is the true calling. Like the yin and yang, these two are in constant battle to prove their dominance over the other, even when they work closely together. Da anni appassionato di tutto ciò che avviene nel e col Web. Specializzato nella realizzazione di Siti Web, Posizionamento sui Motori di ricerca, Campagne Pay Per Click e Direct Email. Frenetico come il ritmo del Web!